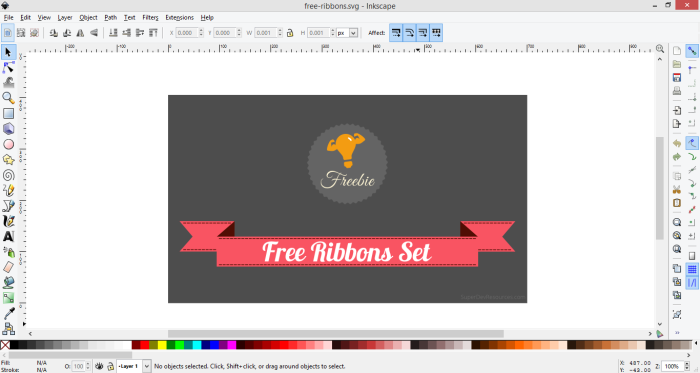 Below you can preview the free ribbons that I created in Inkscape. I used the mirrored pink stitched ribbon to create the header image of this post. These ribbons can be used as templates, just need to add text and other design elements. You can read my post on superdevresources.com to download these free ribbons and to know more on where to use them.